Do you like science and computers? Are you interested in discovering relationships between genes and diseases? 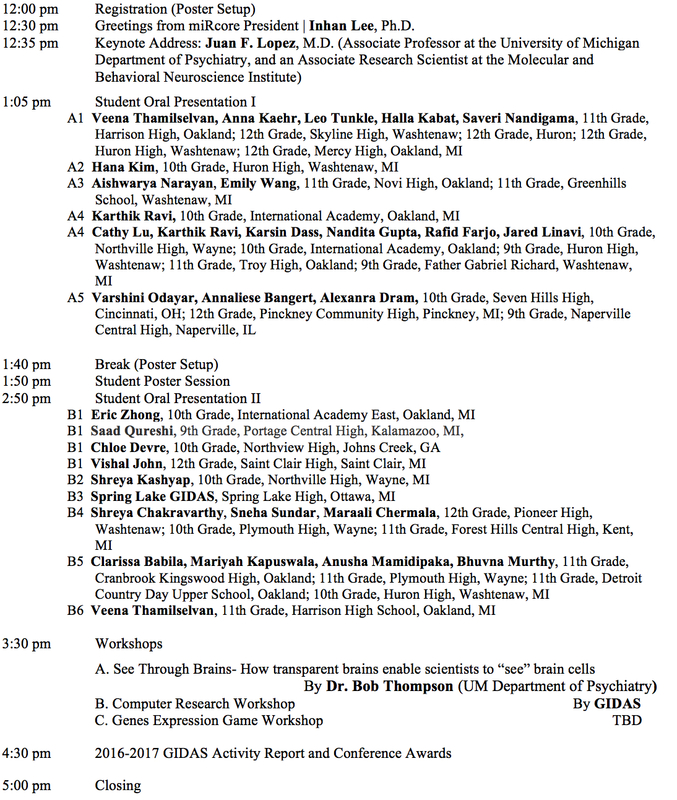 Come to the High School Students’ Research Conference and find out what other students are investigating. 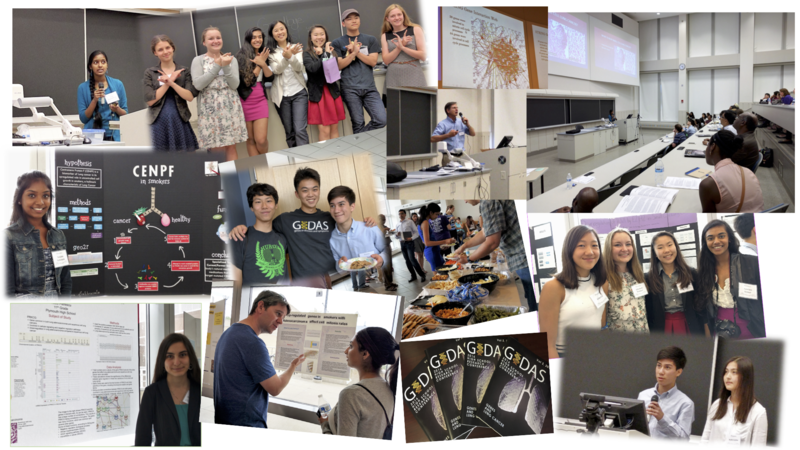 experience in a conference setting to promote learning and interests in science. as well as the opportunity to directly interact with keynote speakers. 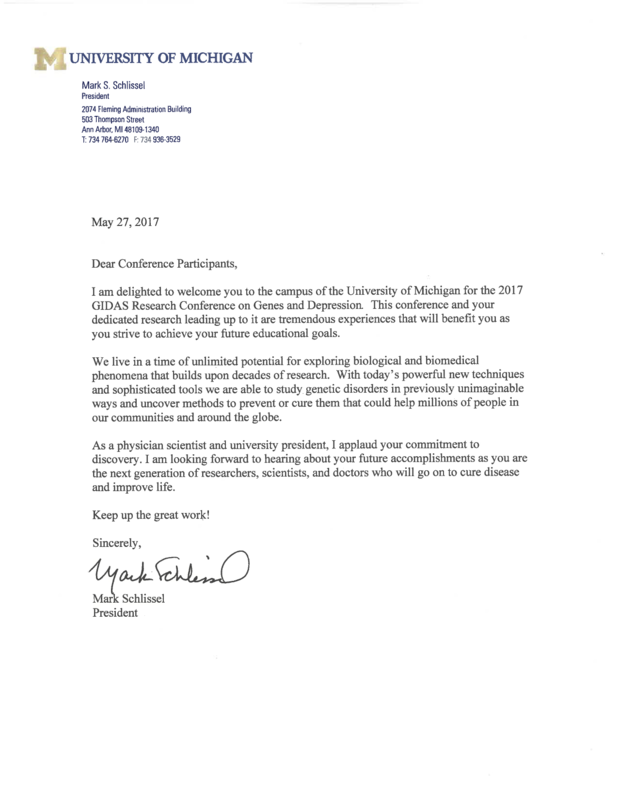 This year’s conference is schedules for May 27, 2017, and the theme is Genes and Depression. Our tentative schedule will be similar to last year’s conference and is TBA. Open to the public, including middle school students. If you wish to present, a tentative research title is fine in the registration form. 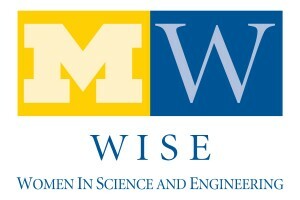 We are sponsored once again by WISE this year, and we also have received a commencement letter from The University of Michigan President Mark Schlissel! We are very fortunate this year to have Dr. Lopez as our keynote speaker for the conference. Dr. Juan Lopez is a Research Assistant Professor at the Mental Health Research Institute and an Associate Professor of Psychiatry. Dr. Lopez went through a genetics fellowship in research at the University of Michigan Mental Health Research Institute and received his M.D. at the University of Puerto Rico. His clinical interests lies in dysthymic disorder and major depression and his research interests include Neuroendocrinology of affective disorders, as well as stress and serotonin. To read more about our keynote speaker, click this link. The abstract is due on May 17, with abstract submission guidelines down below. File submission: email attach the abstract both in Word and PDF files to abstract at mircore.org. Check in with your poster and set up by 1:45 pm.